Shapers Fat Burner Review | Buy or a Scam? 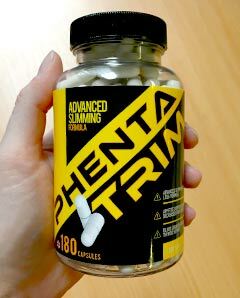 Formulating weight loss supplements, especially those that are stimulant-based, is a delicate balancing act; too little of each ingredient and the end product will be ineffective, but add too much and side effects can make the product unusable. 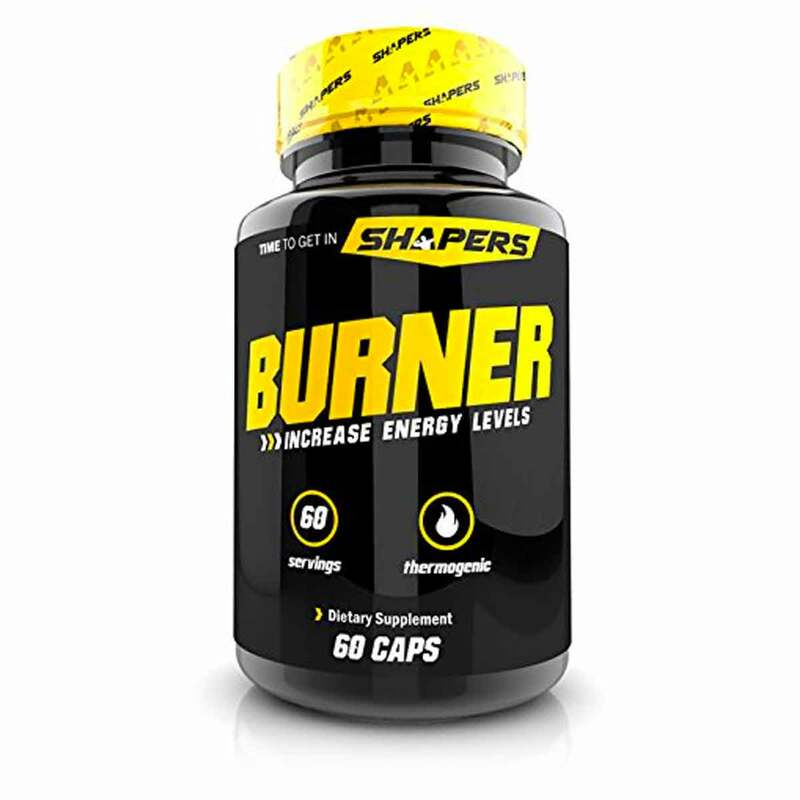 Shapers Fat Burner features a blend of numerous stimulant ingredients, including caffeine and yohimbe. Below we take an in-depth look at Shapers Fat Burner, to see what benefits it offers consumers. Shapers Fat Burner is a thermogenic weight loss supplement that will boost the metabolism and energy levels. It is also advertised as an appetite suppressant. It is available direct from the manufacturers and from Amazon. What Are The Side Effects Of Shapers Fat Burner? This supplement features numerous stimulant ingredients that could cause a range of side effects. A daily serving of two capsules contains 320mg of caffeine, an incredibly large quantity, especially to take all at once. We advise taking one capsule, and then leaving a few hours before taking a second, if necessary. Side effects of caffeine consumption can include headaches, increased heart rate, increased blood pressure, heart palpitations, increased urination, dehydration, jitteriness, dizziness, and insomnia. Yohimbe can also cause a wide range of side effects, including stomach upset, excitation, tremor, sleep problems, anxiety or agitation, high blood pressure, a racing heartbeat, dizziness, stomach problems, drooling, sinus pain, irritability, headache, frequent urination, bloating, rash, nausea, and vomiting. High doses can cause more severe effects. How Much Does Shapers Fat Burner Cost? Shapers Fat Burner can be purchased directly from the official Shapers Supplements website, getshapers.com. A bottle costs $26.50 plus delivery charges. It is also available as a part of several different stacks that combine various products from the Shapers Supplements range. 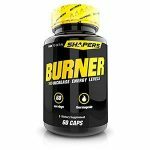 Shapers Fat Burner is also available from Amazon, where a bottle costs $22.99 plus delivery charges. Each bottle contains 60 capsules, which is a 30-day supply. Shapers Fat Burner features numerous stimulant ingredients, some of which are present in high quantities. This makes the chances of side effects occurring quite high. For example, research shows that a 22mg serving of yohimbe extract is suitable for a 250lb consumer, but a daily serving of this supplement provides a total of 50mg of yohimbe bark extract, which makes the likelihood of side effects occurring quite high! Theoretically, the supplement should help to speed up existing weight loss efforts, but we feel that taking this supplement could be quite an unpleasant experience. It is definitely not suitable for anyone who is sensitive to stimulants. The returns policy offered by the manufacturers is incredibly restricted, with customers being charged a $10 restocking fee. Customers who send the product back to the manufacturers too slowly are offered store credit instead of an actual refund. There are also numerous other loopholes that customers need to jump through so that they can (eventually) be given a refund. If you are considering purchasing this product, we advise purchasing through Amazon instead of via the official manufacturer’s website, as the product is cheaper and Amazon’s returns policies are more streamlined. Overall, we do not recommend Shapers Fat Burner to our readers. Shapers Fat Burner is a thermogenic weight loss aid that will also boost energy levels. It features a range of stimulant ingredients including caffeine, yohimbe, and cacao extract. 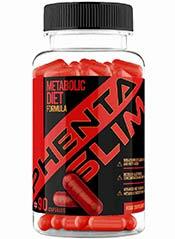 The manufacturers also state that this supplement will help to suppress the consumer’s appetite. Shapers Fat Burner is manufactured by Shapers Supplements, an American company who appear to be based in New York State. 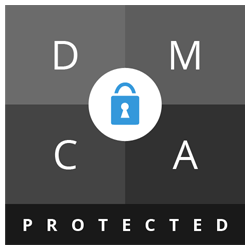 The only address that they provide is a PO Box, so we cannot be sure exactly where the company is based, but they do provide contact details on their official website. What Does Shapers Fat Burner Claim To Do? Does Shapers Fat Burner Work? The combination of caffeine, cacao extract, yohimbe, and green tea could lead to an increased rate of weight loss. The theobromine found in cacao extract and caffeine could both slightly increase the consumer’s metabolic rate, whilst yohimbe and green tea could increase thermogenesis. Yohimbe is also thought by some to act as an appetite suppressant. Whilst this blend could be effective, the amounts of each ingredient used, especially of yohimbe and caffeine, make the chances of side effects occurring quite high. Guggul will have no impact on weight loss or fat burning. Choline is a nootropic, and there is some weak and ultimately unconvincing evidence that it could improve endurance. What Are The Ingredients of Shapers Fat Burner? The ingredients found in Shapers Fat Burner are detailed below. The ingredient quantities listed are per single capsule, and consumers are instructed to take two capsules per day. Does Shapers Fat Burner Have Any Side Effects? There are numerous ingredients found in Shapers Fat Burner that could cause a range of side effects. A daily serving of two capsules contains 320mg of caffeine, an incredibly large quantity, especially to take all at once. We advise taking one capsule and then leaving a few hours before taking a second, if necessary. Side effects of caffeine consumption can include headaches, increased heart rate, increased blood pressure, heart palpitations, increased urination, dehydration, jitteriness, dizziness, and insomnia. Guggul supplementation can cause side effects such as stomach upset, headaches, nausea, vomiting, loose stools, diarrhoea, and hiccups. Guggul can also cause allergic reactions such as rash and itching. Green tea can cause constipation. L-Carnitine can cause side effects such as nausea, vomiting, stomach upset, heartburn, diarrhoea, and seizures. It can also cause the urine, breath, and sweat to have a “fishy” odour. Cayenne can cause heartburn, stomach aches, indigestion, increased sweating, and a runny nose. Not suitable for pregnant or breastfeeding women. Not suitable for anyone under the age of 18. Yohimbe extract can cause extreme anxiety in individuals predisposed to anxiety. Yohimbe extract may trigger manic psychosis or suicidal episodes in people with bipolar disorder. Yohimbe extract can interact with a large amount of neurological medications and should not be used in conjunction with these medications without consultation with a doctor. Not suitable for anyone who is sensitive to stimulant ingredients, or who has any cardiac related health issues, including but not limited to high blood pressure. Avoid other sources of caffeine whilst taking this supplement. Are There Any Customer Reviews For Shapers Fat Burner? There are only a few customer reviews for Shapers Fat Burner. In just a week I am starting to see some results. I work out everyday, I eat healthy meals and I take the burner supplement. I think it has aided my diet as I train hard each day to shed some lbs. I have not felt any side effects so far so that’s good news. I loved it. Good price… just a week and I can see the results in my body. Does Shapers Fat Burner Offer a Money-Back Guarantee? Shapers Supplements do not offer a money-back guarantee for Shapers Fat Burner, and their returns policy is far from generous. Requests for returns must be submitted within 14 days of delivery, and the return label provided must be used with seven days (or else customers will only be given store credit). Supplements must be unopened and unused to qualify for a refund, and there is a $10.00 restocking fee for returned supplements that will be deducted from your refund. The company also states that it might take up to “two billing cycles” for the refund to be processed. Where Can I Buy Shapers Fat Burner? Shapers Fat Burner can be purchased directly from the official Shapers Supplements website, getshapers.com. A bottle of 60 capsules costs $26.50 plus delivery charges. It is also available as a part of several different stacks that combine various products from the Shapers Supplements range. 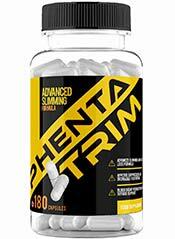 How does Shapers Fat Burner compare to Phentatrim? The Diet Pills Watchdog does not recommend Shapers Fat Burner.